Already listed with our tile products directory? 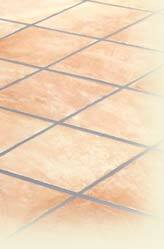 Create a new space with different designed of tile flooring. The highest quality, beautiful tile products are waiting you all over Phuket. Follow the state of art tile trend by our listed shops below and keep in touch with them to make your new home style. Chaiwat Construction is one of Phuket's leading suppliers of the household and construction equipment. Jomthong Home Mart provides the high quality products and service to our customer. Such as chemical product, decorative product, plumbing. tile-it is dedicated to helping you find the best solution for tiling by providing a range of superior quality tiles, suitable for interiors and exteriors, residential and commercial.